EconomicPolicyJournal.com: I Left a Fully Funded Economics PhD. Here’s Why. I Left a Fully Funded Economics PhD. Here’s Why. 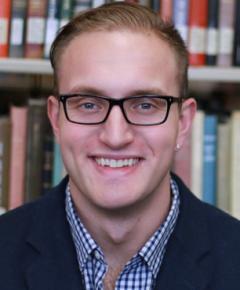 Ryan Griggs who was a Research Assistant to the affiliated faculty of The Free Market Institute at Texas Tech University has left the program. The short version: It appears his ex ante perspective was different than his ex post view. Griggs occasionally attended the Circle Rothbard here in San Francisco. This article won’t totally apply to you. In fact, it won’t totally apply to anyone. It’s a story about me, parts of which may be either interesting or helpful to you. When I was looking for feedback about why or why not to do a PhD in Economics, there was almost nothing. What there was lacked detail and assumed that everyone else’s life was the same or at least similar to the author’s. Either that or the author just wanted to vent. The purpose of this article is very much not to vent. academia is for some people. I have nothing against those who are pursuing it or are considering pursuing it. But what you ought to be aware of is that academia definitely is not for some people. I’ve learned that I’m in the latter group. Maybe my story will help you figure out to which group you belong, if you’re considering the academic path. If you aren’t, e.g. if you just have an interest in what graduate life is like, especially (in fact, only) in economics, read further. I stress that point: “academia” is too broad of a term. Different fields are dramatically different. A chemistry PhD is very different from an english PhD. This is a story about an economics PhD. Also, my PhD was funded. Fully funded. Tuition was waived, extra scholarships were issued to cover university fees, and in comparison to what other universities offer their students, the stipend was nothing to shake a stick at, especially for life in Texas. In fact, if you aren’t offered full funding for a PhD — regardless of the field — I strongly recommend that you consider an alternative career. Maybe you’ve had a successful career elsewhere, and just want to do the PhD for personal fulfillment, but reader beware that I do not understand that mindset. Frankly, PhD programs are hard. And I don’t mean hard as in intellectually challenging. They are intellectually challenging, but that’s a conquerable hurdle (if you’re considering doing a PhD for personal fulfillment only, you are probably somewhat intelligent anyway). The meaningful difficulty comes in another form: work assignments, courses you might find — shall we say — not as valuable as others, and all other required tasks unrelated to issues of personal fulfillment. The point is that an offer of funding is a signal from those offering it that they want you around, believe that you can make it through the stuff unrelated to your personal fulfillment or career goals, and that funding you is therefore a worthy investment. If those with the purse-strings don’t pick you, what’s that tell you? It isn’t that you’re a bad person or dumb, it’s just that they preferred someone else. If that level of rejection is offensive, trust me, a PhD wasn’t for you in the first place. Not only was I fully funded, but I actually did quite well while I was there. I had a grade point average in the A range, which by the way, is an indication that I worked too hard. Graduate students in my experience typically pass classes, whether they excel in the coursework or not. A B- grade average, usually the minimum required to remain in good standing with the university, which is all you need to proceed in life (in that hiring committees don’t care about your GPA), is sufficient. I also passed my mandatory comprehensive examinations in Econometrics and Microeconomics on the first attempt (we didn’t have field exams in my program). I even produced a paper that would have, and may still will, turn into a published journal article, and had plans (still do) to develop a second over the summer. Not bad for an econ grad student in the first year. In fact, everything I mentally prepared myself for leading up to the start of the program, I accomplished. It’s what I didn’t see coming, or at least that to which I didn’t give full due, that made me rethink the whole deal. By far the most challenging aspect of graduate school in economics is not the intellectual dimension, it’s the spiritual dimension. Frankly, I have never, never met a professor of economics who vocalized joy over reminiscing about their own time in graduate school. To the contrary, I’ve heard horror stories. To understand why requires some understanding of the human condition in which I do not presume to be an expert, but I do know some things. It’s sort of similar to the way markets work. You do a good job at a thing and you are rewarded by earning scarce resources that could have been allocated elsewhere had you failed. This is why pats-on-the-back don’t cut it. They may make you feel warm and fuzzy in the moment, but that wears off in a way that, say, monetary payment for services rendered does not. There is little to none of this in graduate school. What of it that does manifest is typically delayed and is loosely, if at all, related to specific acts of exceptional performance. Think outside fellowships and the like. This means that to make it through graduate school without sinking into depression, one must check, or at least place on autopilot, one’s feeling of yearning to be materially recognized for doing something well. Seriously, I’m not being crass here. There is something spiritually essential to the happiness and fulfillment of man in attaining due compensation for services rendered. Look, academia is a non-market phenomenon in today’s world. All I’m saying is that you might as well embrace, or at least acknowledge, that the institutional incentives you will be subject to are also uncharacteristic of the market. And if you’re like me and you believe there is something spiritually good about voluntary trade between consenting adults, where something truly scarce is traded for something else of the same kind, then this matters. For reasons I won’t fully get into at the risk of unnecessarily offending anyone, I can imagine getting some objections to this point. Delayed satisfaction is one. It might go something like this: “Sure, maybe the struggle is real for the four to five years that you’re in the program, but it’s worth it in the end and that’s where the payoff is.” For that objection to make sense, you must be satisfied with the notion that, at some level, ends justify means. I personally reject that notion. First, attainment of a goal rarely if ever actually yields satisfaction; rather, what usually matters for human happiness is the process of attaining the goal, any goal. So if the process is something less than satisfactory, it might not be wise to expect that attaining the end-goal despite the process will be (by the way, many who think it’s all worth it, who finish their PhDs, often do not feel the mythical overwhelming joy they may have told themselves to expect). Second, it isn’t clear to me that earning a PhD is in fact a worthy end in and of itself. Maybe, and boy do I mean maybe, it’s the case that earning the PhD is a worthy goal insofar as it gets you in the door for an interview or two en route to becoming a faculty member, but do you see what’s happening here? “Graduate school is worth it because it will get me the PhD; getting the PhD is worth it because it will get me a chance at getting a job…” When does it end? A goal that is worthy only because there is some worthy goal beyond it (which in turn is only worthy because there is some worthy goal beyond it…) just might not be worthy in the first place. It wasn’t to me, but maybe it is for you. More likely, though, is that if you are considering a PhD, you think the process of earning it is actually something that you will enjoy, that will fulfill you. I do know people to whom this applies. They are exceptional people. I do not mean exceptional in the typical figurative sense of “somehow superior.” I mean exceptional in that they are literally exceptions. In fact, “people” is wrong. Person. I know one person who genuinely, authentically, loves the process. No, I don’t know everyone getting a PhD in economics, but I also don’t live in a cave, and typically, if it’s the case that a significant proportion of people truly love something, you tend to hear about it, especially if they’re literally your peers and associates. I’ve covered the main reason, the spiritual one, as to why graduate school is tough and why I believe it is the case that so few actually enjoy the process of enduring it. There are others. The aim in life for an academic is publishing in well-respected peer review literature. That is your ticket to a better paying job at a more prestigious university with a lighter teaching load. Maybe being at a prestigious university in a prestigious role isn’t your thing. You might well be the first person I’ve ever come across for whom earning due recognition for doing well at something you love doesn’t matter so much. A lighter teaching load may also not be your goal. It wasn’t mine. But nor was the severe compensation tax that pursuing a heavy course-load involved (not to mention that prestigious positions at prestigious universities almost unilaterally come with a light to nonexistent teaching load). That’s right, want to teach more and publish less, you will be paid less for the privilege. University rankings and administrative compensation decisions revolve around publications in high-ranked journals, not in ratemyprofessor.com rankings or in emails from students you had twenty years ago who love you for the impact you had on their lives. I’m not trying to make the incentive structure sound perverse. To some it is and to some it isn’t. The academic world is ostensibly about the production of valuable knowledge (note the adverb). Not teaching. Not impacting the lives of students. Not self-fulfillment. As it was put to me, so I will put it to you: graduate school is vocational training. Vocational training for what? To become a practicing scholar. Practicing scholars participate in scholarly conversations. Scholarly conversations take place in academic journals. Academic journals consist of peer-reviewed articles, articles that are supposed to have passed scientific muster. I mean, after all, they’ve been reviewed, and criticized, by peers, scholarly peers, at that. The idea is that the bad ideas are weeded out along the way, and only the good, or at least the least bad ideas, make it to publication. This is an idealized version of how it’s supposed to work. I mean, it’s something like a market! The good ideas are selected for and the bad ideas are weeded out through a competitive process. Kodak and taxi cabs die off because they didn’t see the competition coming. So too it is foretold to work in academia with the production of ideas. The issue is that the marketplace of ideas as it relates to the marketplace of actual goods and services is that idea-producers in academia do not compete for real scarce resources. The “marketplace for ideas” metaphor is just that: a metaphor. It is not an accurate portrayal of the facts of the matter. It is an embellishment, an artistic description of what academia perhaps ought to be like, and in fact is like in some, but certainly not all, ways, and certainly not in the ways that matter. The above can sound super critical. Especially to those who have already been told the tale of how academia and idea-production is supposed to work. I truly don’t mean it to be, at least not for the sake of it. I’m trying to convey to you how things really are so that you can make an informed decision. If you are not thinking of getting a PhD, and just want to learn about the life of an academic, my dual purpose is to illustrate, again, what it’s really like to pursue one. If you come away from this skeptical about the class of intelligentsia, good. If you come away from this confident that the PhD in economics is still a good idea, or that it is still a solid qualification of advanced expertise in the subject, even better. Hell, if you come away from this nodding your head and saying “OK, I get it, but…” and you haven’t seen something that sufficiently replaces the ellipses, great, you’re probably a prime candidate for a PhD in economics. In that case, you’re welcome, I’ve challenged some fundamental beliefs about graduate work in economics, and you’ve come away unscathed, if not more determined. You can PayPal me with your gratitude. There are some things I have not done here. I have not discussed the pathological focus on mathematics as the sole means of doing economics in many (like 95%) of classrooms. I do mean pathological. I’m no expert in the history of economics, but as it turns out, the greatest thinkers in the subject ever often did not use mathematical methods, and they managed to make something of themselves, if not change the world for the better. Many practicing economists today sincerely scoff at the notion of discussing problems of economics in words as opposed to mathematical symbols. Maybe that floats your boat, maybe not. I have not discussed the opportunity cost of getting a PhD in economics. Spoiler alert: it’s high. If you’re qualified to get an academic job in economics, you’re qualified to make significantly more money doing something else, especially if you have quantitative or data analysis skills. Back to that whole idea of doing graduate school in economics for personal fulfillment. “It’s not about the money,” you might say. Fine, the opportunity cost is high in time too. Four years, folks. Probably four years in your youth, or, if further on, four years of that precious time of your life on earth in which you might be expected to earn the highest income. I have not admitted that many of the economists I highly respect had (and have) PhDs in economics. Likewise, I did not mention that those men who I do respect who did (and do) have PhDs in economics did not have prestigious positions, were not paid well comparatively speaking, and generally found themselves in steep disagreement with their contemporaries to the point of literal disgust. So maybe I’m a hypocrite, but there’s reason to forgive me for it. I was never a second, third, or fourth year PhD student. Maybe the institutional nature and incentives are different than in the first year. Though I doubt that, it could be the case that life would have got dramatically better for me had I only completed year one. Recall the goal discussion, and decide for yourself. There is a serious possibility that I have come across unnecessarily critical. Please refer to the first paragraph. It’s there for a reason. If anything, what I want you to come away with is this: having a PhD makes you no better nor worse than the next guy; a PhD in Economics is more difficult than you might have imagined, for reasons you might not have imagined; the process of attaining goals might be more important than accomplishing goals that are often worthy only because they open up the possibility to achieve other goals; academia is a non-market institution and the incentive structure is accordingly different; and finally, if you’ve read all this and doing academia in economics is what you want to do with your life, there is probably nothing that can stop you from achieving success in it. I guess once you start questioning Krugman's Nobel prize the rails come off. Sounds like you made a good decision for you. See the debate between Walter block and Gary North about whether one should try to get a PhD in economics. I believe it took place at one of the Mises Institute conferences.